Buying or Selling a Classic Jaguar? While William Lyons and William Walmsley founded the company as Swallow Sidecar Company in 1922, Jaguar’s big break would come with the launch of the post-war 1948 Mark V and the illustrious XK series of sports cars. In fact, the launch of the XK120 was said to be one of the major contributors of U.S. dollars to the British economy post war. The XK series, including the XK120, XK140, and XK150, would run from 1948 until 1961 when Jaguar would introduce the world-renowned E-Type. The E-Type, also called the XKE, would give Jaguar unparalleled attention in the sports car market well into the mid 1970’s. Today, classic car enthusiasts, Jaguar aficionados, and British sports car fanatics across the globe find the Jaguar line of sports cars to be some of the most sought-after in the classic car market. Known for their beautiful curvature, undeniable performance, winning racing history, and uncompromising elegance, the Jaguar sports car continues to be one of the favored brands in the classic car market. Like any classic of this era, the Jaguar requires maintenance and care, and perhaps a little babying here and there, but she will give you years of enjoyment. Looking to Purchase a Classic Jaguar? View Our Current Cars! The classic Jaguar XK120 was launched in 1948 and ran through 1954. 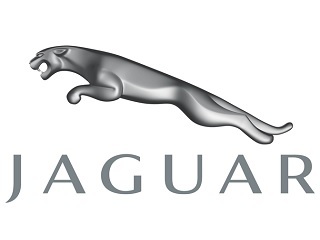 It would be Jaguar’s first real claim to fame after World War II and would account for the majority of Jaguar sales during this era. Widely renowned for its beautiful curvature, the XK120 was actually a last-minute design used to house the new XK engine at a motor show, when the saloon car was not ready. Unparalleled interest and immediate demand would keep the XK120 in circulation for years. Today, the XK120 is one of the most sought-after Jaguar sports cars, as it represents the most direct lineage to the automakers founding. The XK120 is offered as a Roadster, a Fixed Head Coupe, and a Drophead Coupe. The classic Jaguar XK140 would be the successor to the widely popular XK120 and would launch in 1954. Short-lived, the XK140 would cease production in 1957. During this time, several small changes would emerge, including more interior cockpit space, an improved rear suspension, and more than 190hp on the standard version. The XK140 also wore a commemorative plate reading, “Winner Le Mans 1951-3” to signify the great racing successes that Jaguar was having during the era. The XK140 was also offered as a Roadster, a Fixed Head Coupe, and a Drophead Coupe. The classic Jaguar XK150 would roll off the production line in 1957 and would be manufactured until 1961. While not the longest-lived of the XK series, this third and final generation of the XK line would be the most profitable for the brand. The XK150 offered a dramatically redesigned curvature, more legroom for taller drivers, and also market the launch of the new 3.8L engine. Many collectors believe the XK150 is the best in the series, as it encompassed all the changes and advancements the brand had implemented over the course of the XK lineup. Like the XK120 and XK140, the XK150 was offered as a Drophead Coupe, Roadster, and Fixed Head Coupe. After the illustrious run of the XK line, Jaguar would need something to turn heads. Enter the XKE, or E-Type. Launched in 1961, the XKE would see production for more than a decade, stopping in 1974. Its combination of good looks, high performance, and affordable pricing would establish the Jaguar XKE as an icon of 1960’s motoring. In total, more than 70,000 XKE models would be sold. The XKE has also won numerous accolades from the press including being listed among the top “100 Most Beautiful Cars of All Time” and the “Top Sports Car of the 1960’s.” Many believe this is the ultimate Jaguar classic and there is a wide variety to choose from in today’s classic car market. To learn more about buying a classic Jaguar, connect with the team at The Beverly Hills Car Club today. They look forward to hearing from you and to helping you choose the right model to suit your need and exceed your expectations. They are just a phone call away. We Also Buy Classic Jaguars In Any Condition, Top Dollar Paid!